For the final and third day of Desserts, I have another Kheer made with Broken Wheat and Jaggary. This delicious kheer was part of the Udupi Thali and was inspired by this. Broken Wheat is always stocked at home, even though I don’t always use it regularly. Athamma prefers to use this for her Upma instead of Rava. Cooking with broken wheat is little tricky as it thickens very quickly. I pressure cooked it with water for couple of whistles. Then proceeded to cook the way it is supposed to be. Wash the broken wheat and pressure cook it with one cup of water. Grate the coconut and grind with 1/2 cup water to extract thick milk. Add another 1/2 cup and extract again second coconut milk. Crush the jaggary and heat a pan with just enough water to cover the jaggary. Melt to remove impurities. Continue cooking till the jaggary thickens. Add this to the cooked broken wheat. Simmer for 5 to 10 minutes. Ensure to stir at regular intervals. Once it combines well, add the second coconut milk. Meanwhile heat a small pan, add 2 tsp of ghee and fry cashew nuts, raisins. Switch off. 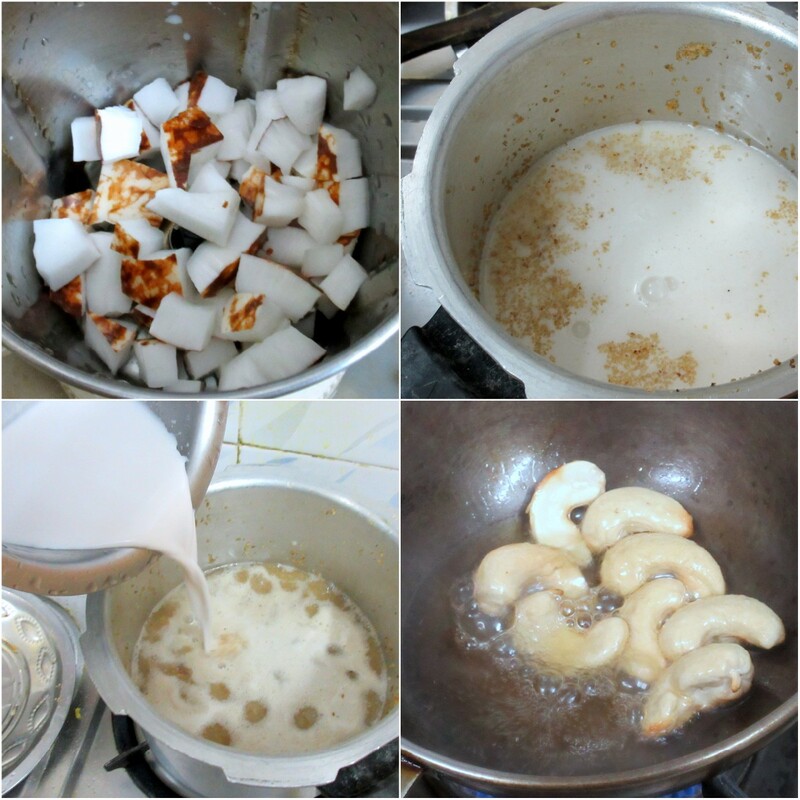 Now add the first thick coconut milk to the simmering payasam and bring to one boil. Add the roasted nuts to this and remove. Broken wheat becomes very solid after cooking. So add more water if required. Even the cooked payasam tends to thicken on cooling. You can serve it chilled or heat it with more water and serve hot. Love this payasam Valli. Even we use the broken wheat only for upma. This would be a welcome alternative! 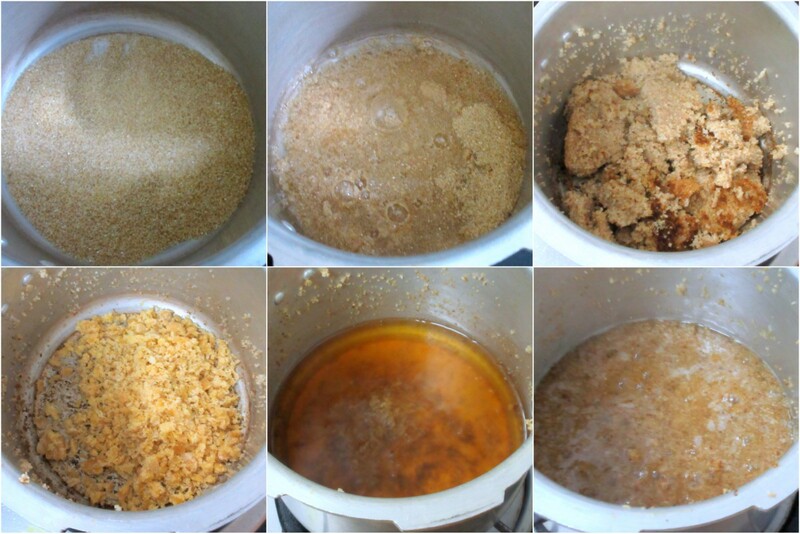 I make godhuma rawa kesari but not payasam. My mom makes similar one with sooji. I love the idea of using godhuma rawa in the kheer. Kheer looks delicious and healthy . Kheer sounds delicious. I am also interested in the upama recipe using broken wheat. I never heard of kheer in broken wheat.. This sounds interesting and delicious.. I love the texture of broken wheat and the crunch it has even fter it is cooked well. 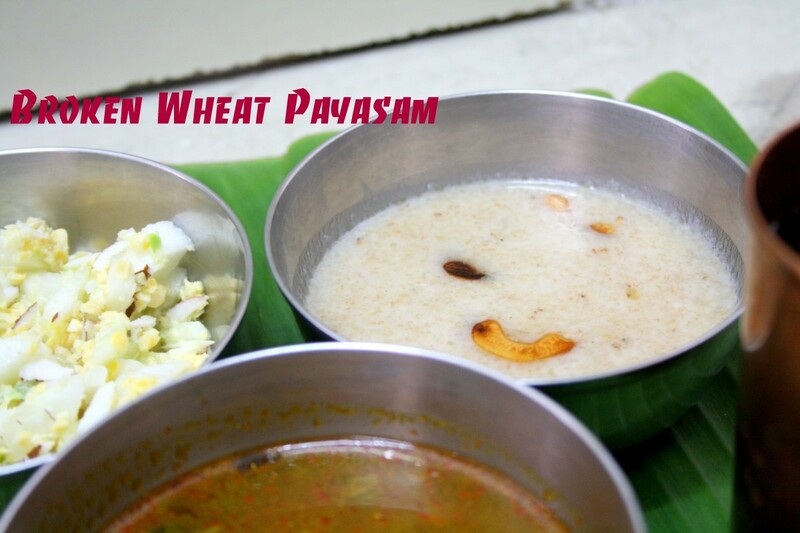 The payasam would have tasted amazing with the coconut milk. 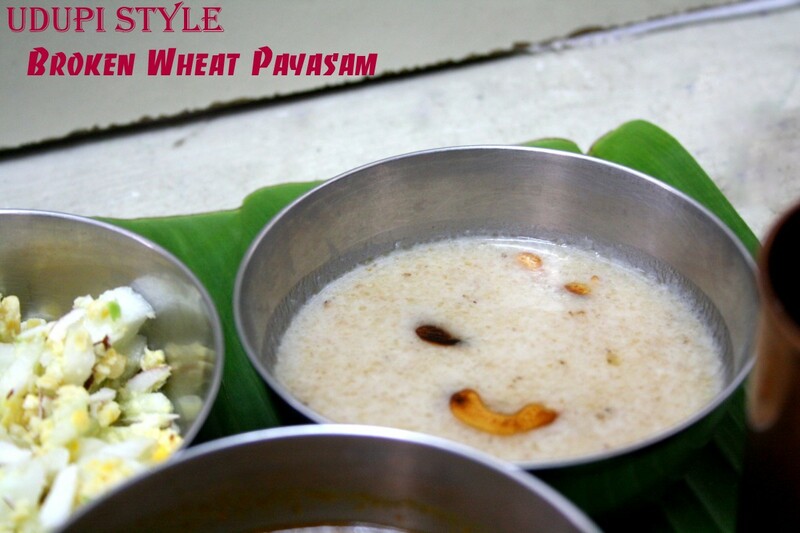 I rarely make payasam with broken wheat, looks very rich and creamy, especially love the addition of coconut milk. Addition of coconut in this kheer makes it yummier!